Today's midweek mealtime is actually broken into 2 parts: this one and these nachos. The reason for that is the salsa in this recipe is so good that it 100% deserves its own post. I mean, seriously, this salsa is incredible! And it goes with and on everything: chips, eggs, tacos...and it makes the best taco or nacho meat. 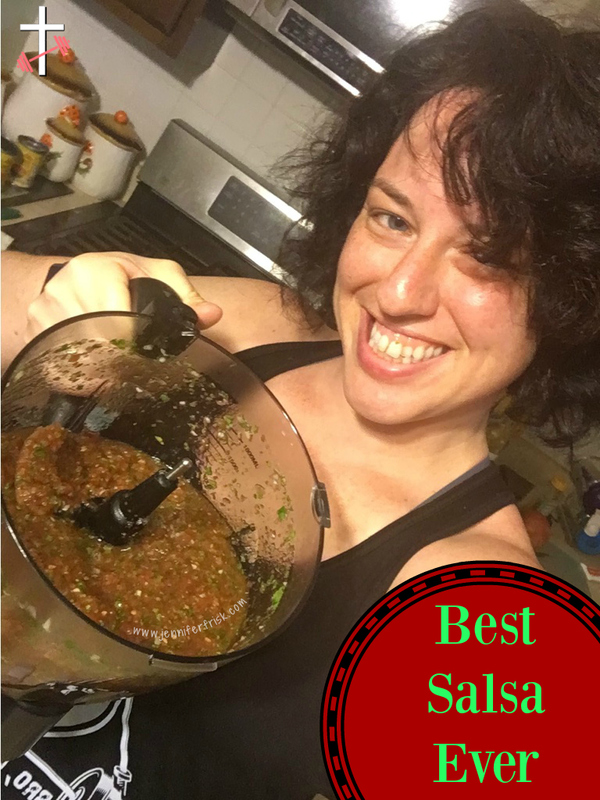 I first had a variation of this salsa when visiting my sister-in-law and her family. Her husband made salsa as a snack, and I proceeded to beg him for his recipe. I begged all weekend long. He finally caved and gave me his base "procedure," if you will. I've made it a few times trying to nail down the exact proportions, and I am happy to say I've got it. And I think it's safe to say that if you come to my house, there will be some in the fridge! Do yourself a favor and make this. Now. In a food processor, chop onion and cilantro until finely minced. Add remaining ingredients and chop until desired consistency. I like mine to have some chunks, but very small ones. ha! If you count containers on any of Beachbody's plans, this is simply 1 green. If you make this, let me know how you like it!